MANILA, Philippines — A unit of the Aboitiz Group became the latest entrant in the pool of potential common telco tower builders while two others are set to join the fray within the next few days, the Department of Information and Communications Technology (DICT) said. On Thursday, Aboitiz InfraCapital signed a memorandum of understanding with the DICT, making it the seventh common tower proponent. Aboitiz InfraCapital COO Cosette Canilao said there is an urgent need to build a robust, modern, and efficient telecommunication infrastructure which is very crucial to the economic development of the Philippines. She added that with the reputable and strong track record of the Aboitiz Group, it is offering its services to provide a solution to such pressing need. 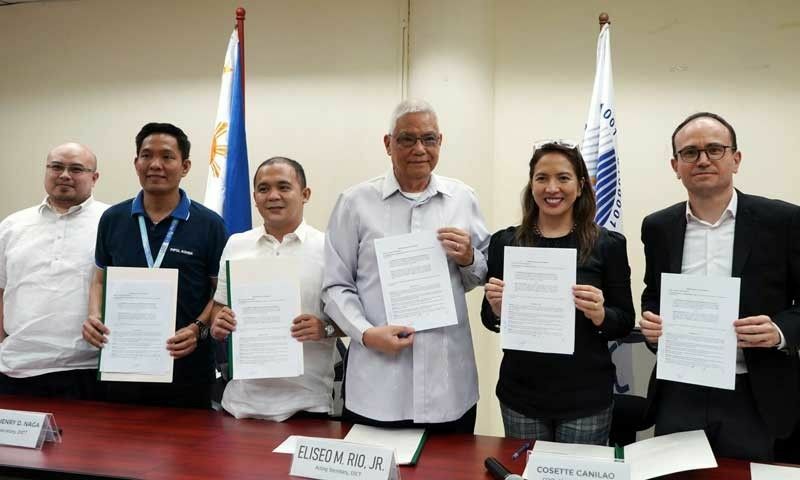 “The Aboitiz Group possesses extensive experience in building and operating utility networks, for example, through its distribution utilities Visayan Electric Co. Inc. and Davao Light and Power Co. Inc.,”Canilao said. “Moreover, the Aboitiz Group has established a strong track record on the management and execution of complex projects,” Canilao added. Aboitiz InfraCapital said through its sister company AboitizPower, it can well provide the expertise to find efficient solutions for the power requirements of the cellular towers. “A strong nationwide presence, coupled with proven project development, execution and asset management capabilities, will enable the Aboitiz Group to implement its initiatives efficiently and maximize its full potential,” the company said. Apart from Aboitiz InfraCapital, other companies that have previously signed MOUs with the DICT are ISOC Infrastructure Inc.; ISON ECP Tower Pte. Ltd.; IHS Holding Ltd.; edotco Group Sdn Bhd; China Energy Equipment Co. Ltd. and RT Telecom Sdn Bhd. DICT Acting Secretary Eliseo Rio said two more firms, MGS Corp. Inc. and American Tower, are set to sign their respective MOU on Feb. 11 and Feb. 19, respectively. At present, the two operating telcos, Smart and Globe, only have about 19,000 towers deployed. Rio said the Philippines needs an additional 50,000 towers to be able to provide efficient telecommunication services. In December, the DICT opened up the local market to all interested common cellular tower builders as long as they are able to secure contracts with the telcos.